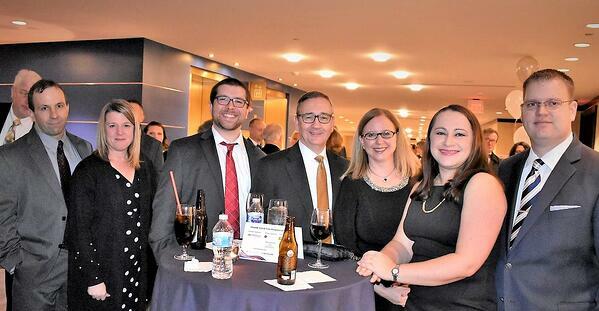 Trout, Ebersole & Groff, LLP (TEG) Professionals, Chuck Pletcher, CPA, Brian Pennington, CPA, Krista A. Showers, CPA, MBA, CEBS, and Nicole Cradic, CPA, represented the firm at the ABC Keystone 60th Inaugural Gala on Friday, January 11, 2019. TEG is actively involved in the ABC Keystone Chapter and was excited to be this year's gala production sponsor. During the gala, the 2019 Board of Directors took their oath of office. TEG would like to congratulate Douglas M. Dvorchak, from Murray Securus, on being named 2019 Chair of the Board. ABC Keystone is the local chapter of Associated Builders & Contractors, Inc., representing over 21,000 merit shop construction and construction-related firms in 70 chapters across the United States. ABC Keystone is dedicated to advancing and defending the principles of the merit shop in the construction industry and providing members with the opportunity to succeed.